New brushes will reduce your sweeping time and do a more thorough job. 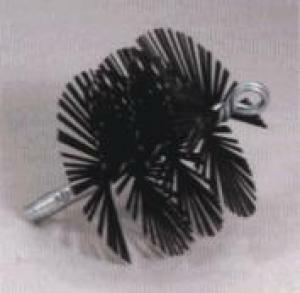 These brushes have a 3/4" loop on one end and a 3/8" pipe thread on the other. 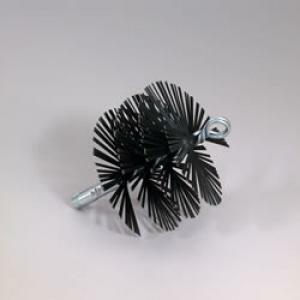 Flat Wire Brushes give extra scraping action and are recommended before using TSR. Use them only when cleaning from the roof, as they will not spring back to shape when compressed past a damper frame.